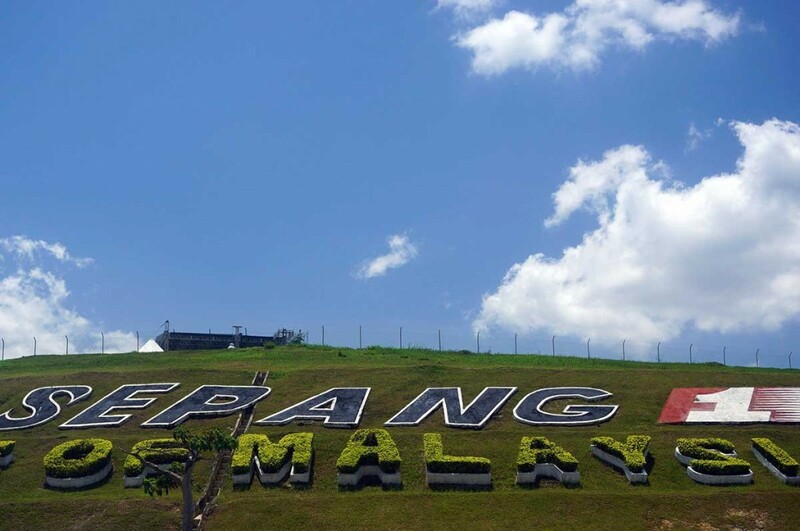 Let The F1 Spectator Malaysia page guide you around Sepang International Circuit as you make your travel plans for the 2017 Malaysian Grand Prix. Useful information about the circuit and it’s location. Directions for getting to the track by car or public transport. Intuitive guide to this years ticket prices. Insider tips on the best grandstands and general admission areas to view all the weekends F1 action. The Malaysian Grand Prix is no longer a part of the Formula 1 championship and the information on this page may no longer be up to date. Added to the calendar in 1999, the Sepang International Circuit kick-started a wave of new state-of-the-art Grand Prix circuits in Asia. 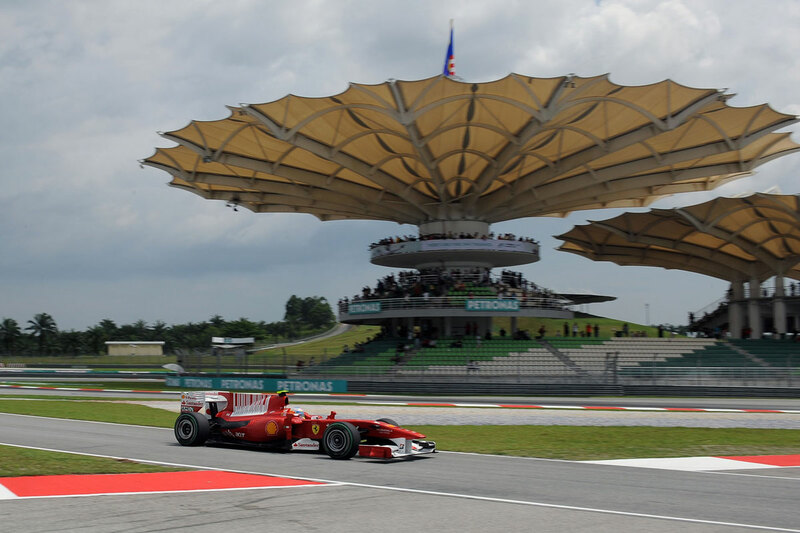 Sepang wouldn’t top many F1 fan’s list of Grand Prix to attend but arguably it should, if for nothing other than exceptional viewing and some of the least expensive ticket prices on the F1 calendar. The race is attended by locals and a broad host of international fans, especially a large contingency of tinny-clutching antipodeans who can make it feel like a second Aussie Grand Prix and inject a bit of atmosphere into what can be a bit of a sterile venue. The characteristically wide track and long straights leading into tight corners promote overtaking and has allowed for some thrilling wheel to wheel battles over the years. From 2001 to 2015 the race was repeatedly scheduled for a March or April spot in the calendar – right around the time that the western monsoon comes to town. Predictable afternoon showers have often wreaked havoc with track proceedings with tremendous downpours seeming to appear from nowhere. Though it can add drama, it hasn’t always been welcome for spectators who have often had to sit through long red flag periods or worse – heavy rain lead to the race abandonment in 2009 after just 31 laps. For 2016, sense finally prevailed and the race returned to its original October date. With the current trend of nervous race directors believing a light spray is enough to warrant a safety car, this is probably for the best. We can only hope this becomes the venues default slot in the calendar for the foreseeable future. Make strategic use of the KLIA food court on your way to and from the circuit and have more choice and less credit card debt than you get with the overpriced food stalls inside the venue. Bring plenty of water with you; even cheering with a restrained passion can quicky leave you dehydrated in Sepang’s tropical heat. Find accommodation within walking distance of KL Sentral and have an easy commute to the circuit and enjoy the energy and haggling at Petaling street market. Seats anywhere in the main grandstand offer easy access to enjoy the track invasion and podium celebrations. Traditionally a March or April slot has coincided with the monsoon season and meant a predictable late afternoon shower. Returning to it’s original October date means rain is less likely, though still a possibility. Whatever about the rain you can certainly expect it to be hot, so plan accordingly. Bring plenty of water and wear light clothes, a peaked hat, and sun screen. Though all the grandstands are covered, there are many opportunities to get burned; lining up at the turnstiles, food stalls and for the shuttle bus, etc.